Ideal Exercise has been recognized as the leader in slow high intensity strength training since 1994. Our private, by appointment training facilities in Seattle and Bellevue, provide an ideal environment for our expert instructors to guide you through a weekly one-on-one workout. The Ideal Exercise training protocol efficiently achieves measurable results while emphasizing safety! Learn how our training programs, based on scientific research, offer efficient results with unparalleled safety. Our private gym environment eliminates most distractions to enable you to concentrate on form, technique and effort. We tailor our programs to the individual, offering programs for any age and any fitness level from beginner to advanced. 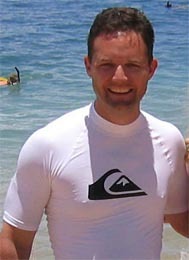 Our trainers have many years of experience combined with superior knowledge allowing us to help you reach your goals. I hate to spend lots of time in the gym. But I'm also a research fanatic that wanted real results. I discovered the SuperSlow® protocol and must admit, I was skeptical at first. But now I'm in the best shape of my life, injury free, and the strongest I've ever been thanks to Ideal Exercise! 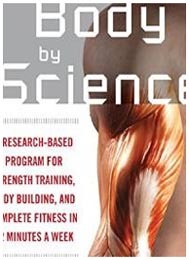 - Jeff C.
To learn more about the science behind the Ideal Exercise training program, you'll want to check out Body By Science by Dr.Doug McGuff and John Little. We'd like to thank Doug and John for mentioning us in the acknowledgements section of their book. Copyright Ideal Exercise. All rights reserved.